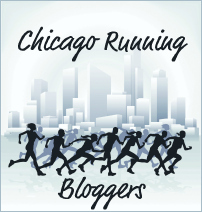 Yes, yes, I’m finally getting around to writing about this year’s Chicago Marathon. Granted, the race was over a month ago, but sometimes it takes me a little while to digest things. Besides, a one-month delay isn’t so bad. It took me almost a year to write about my first marathon. So, like a June bride who writes her thank-you notes in December, I feel like I’m both behind and ahead of schedule. Perhaps my procrastination is fueled by embarrassment, because in order to write about the 2012 Chicago Marathon, I have to admit how close I came to not running it at all. And so I found myself clicking “Register Now!” and viola, I was signed up. Then I promptly forgot all about it. Denial is a powerful force. As summer rolled around, it was time to start “training” and I realized what I’d done. I was facing weeks of daunting runs that I’d have to slog through by myself. I had no running partner or training group of any kind. And I was miserable. I managed to get through July, but by the beginning of August, I hated my long runs. I was sick of every song on my ipod, sick of every thought in my head, sick of myself. Anything over eight miles and I was ready to hurl myself in front of a passing car. While my legs were getting stronger, my resolve was getting weaker. I kept cutting my runs short. My training plan would say I should run twelve, but I’d do only ten. Or eight. Or six. One day I set out for a 10-miler. I ran 2.5 miles, stopped, turned around, and walked home, crying. Dear Chicago Marathon, I quit. Have fun without me. But then something happened. Two things, actually. Or more precisely, two people. The first was that I heard from my Twitter runner pal Dan who was training for Chicago 2012, his fourth marathon. Although he ran regularly with the CARA Niles group, he’d suffered an injury and hadn’t been able to stick to the CARA training schedule. He was doing runs on his own – slightly shorter than the group was doing – until he could build his mileage back up. He asked if I wanted to do some runs with him. Dan has always shown such determination in his marathon training – read his inspiring story here – and I didn’t want him to have to suffer through training by himself. So I started running with him. Cue the sound of angels singing. So I started running with Dan and Kevin. Sometimes I’d run with Kevin on Saturday and Dan on Sunday. Sometimes vice versa. For my weekday runs, I was still on my own, but the shorter runs didn’t bother me. It was the long ones that I dreaded. And yet suddenly they were enjoyable. OK, maybe that 16-miler that Kevin and I did when it was brutally hot and we were both under-hydrated wasn’t exactly enjoyable. But the miles no longer seemed quite so tedious. And most importantly, I was getting them done, instead of cutting them short, like I’d been doing in the past. I was running longer distances, at a faster pace, with no mental anguish. In fact, as the weeks went by, I started to (gasp!) look forward to my weekend runs. Some weekends I even logged back-to-back long runs, such as covering 14 miles with Kevin on Saturday and then running 13 at a half-marathon with Dan on Sunday. In August, I had been determined to quite, but by September, I was confident I could tackle the marathon distance again. I had no idea what my time might be when I crossed the finish line, but the most important thing was showing up at the start line. Thanks to two fabulous guys, I managed to do just that. What might happen during those 26.2 miles, however, was still anyone’s guess.